For the 5th straight year I was able to head to down to beautiful Charleston, SC to cover the Charleston Classic college basketball tournament. Although the field of talent was not quite as good as the past few years, there was still a number of pro prospects here and some teams to watch out for as the season progresses. Temple, from the American Conference, defeated Clemson (ACC) in the championship team. Temple has size, athleticism, and several pro prospects– dont be surprised to see this team having a real shot at playing in March at the end of the year. Here is my All-Tournament Team as well as Honorable Mentions from this years tournament below. Workhorse in every sense of the word. Plays extremely hard, battles for rebounds, and goes for loose balls. Best offensive rebounder here. The Presbyterian College transfer 3 pt shooting has improved still needs to continue to improve in this area. To his credit he knows his role and doesn’t play outside his capabilities. Plays much bigger than his height. Solid European prospect. Was consistent throughout the tournament and played big inside for Old Dominion. Pretty good athlete who plays with a high motor. Has really improved over the years at ODU. Stronger than he looks. Can score with his back to the basket, but needs to continue to improve his left hand. Is a good European prospect because of his ability to score and rebound the ball. G-League teams should also track him. One of the top pro prospects here at the Charleston Classic. Stretch 4 who can really shoot the ball from deep. Solid rebounder who can also protect the rim a bit. Not a bad athlete. Needs to improve motor. Skilled. Should be considered for the P.I.T. this year. Will have a shot to land on an NBA team because of his size and ability to shoot the basketball. Versatile and athletic wing who reminds me of Daniel Hamilton, a 2-way player for the Oklahoma City Thunder. Handles the ball very well for his size and can get to the paint where he can shoot the midrange or make plays for others. Shifty. Has a chance to be a pretty good defender, just needs to be in consistent effort on this end. His 3 point shooting needs to become more consistent but he can hit the corner 3 at this point and shot it well from deep in game 2. A player that NBA teams need to watch if they haven’t seen him already. Talented and athletic forward. Tweener between the 4 and the 3. His 3 pt shot looks better this year and more consistent. Can handle the ball pretty well and can defend multiple positions. Needs to stay aggressive this season as his team will be relying on him heavily. Confident scoring point guard who led the team in scoring in this tournament. Has a quick first step and can shoot the 3 ball. Showed the ability to get to the rim where he can finish with either hand. Solid European prospect and could find himself receiving a PIT invite if he has a big year in the A-10. Best pure PG in the tournament in my opinion. Terrific playmaker who gets easy shots for his teammates. His a minor hitch in his shot but showed he could knock down the midrange pull-up as well as the 3. Terrific ball handler who can create space for himself. Changes speeds well and is a poised. Very quick 1st step and can finish at the rim. Moves his feet defensively. Has a shot to be a 2-way NBA player if not better. Good shooter who can score it off the bounce as well. High IQ stretch 4 who plays hard and rebounds. Versatile player with a high motor. Terrific defender. High upside because of length and athleticism. Talented and smooth player who can score it all all 3 levels. ATTENTION! Just making sure whoever is reading this doesn’t miss this part. 8th grade is too soon to project a player for the college level, at least for the most part. Unless they are extraordinary, it probably isn’t ideal to make a projection. I understand that. With that being said again, don’t expect a projection in this player intro. However, don’t be shocked to hear plenty about this kid in middle school this year and in high school every year until he graduates in 2021. Cole Gilbert is a 13 year old 6’7” (for now) 8th grader that attends Ocracoke Middle School in Ocracoke, NC. It’s a relatively small island on the coast. It’s typically known as a great vacation and tourist spot. However, it isn’t often that a kid with such immense size, work ethic and potential comes along in such a small area as such. Gilbert will be one to track in Ocracoke over the years to come. On the court, as the case is with most young big men, Cole is raw. However, his knowledge of the game is there, his mentality to strive to be great is there and his work ethic is impeccable. Coach DeAngelo Spruill of Garner Road likes what he has seen from Gilbert during competition. “Cole is a big boy! He’s a willing worker, has decent footwork and he doesn’t quit. Has a work ethic.” said Spruill when asked his thoughts of Cole. Ocracoke isn’t known as a hoops hotbed. However, over the past couple of years current high school Coach Dave Allewalt and a slew of others have been doing a wonderful job building up the sports programs on the island starting with the youth. 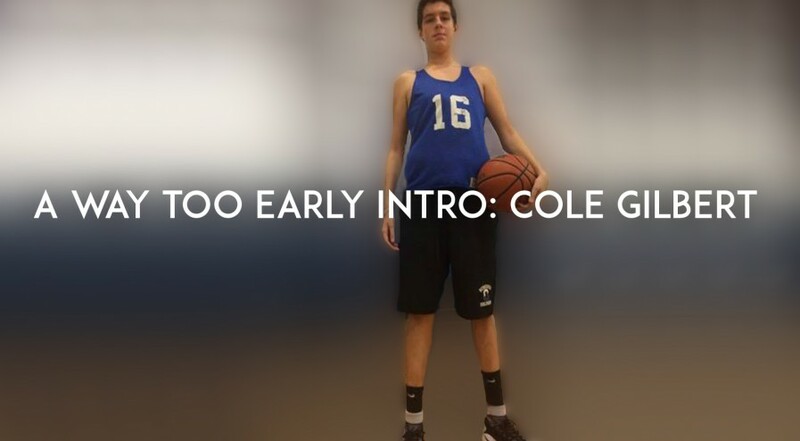 Cole is one of those kids who has come up in the program and has been working extremely hard on his game and adjusting to his body. He could certainly in time make his mark and bring more attention to a growing Ocracoke basketball program. He’s currently sporting a size 16.5 shoe, just 13 years young and rapidly growing. Size, youth and a great work ethic typically make for an excellent post prospect in due time. It’s going to be fun watching the development of Cole over these next few years. Remember the name. This is the 2nd of what will be 5 installments of the “A Way Too Early Intro” series. Stay tuned. Yes. 8th grade is too soon to project a player. I hear you and I understand clearly. Making projections of kids in middle school is out of bounds and too soon. I get it. Now, with that being said, don’t expect a projection in this introduction. However, you can expect to hear plenty about this kid in middle school this year and in high school every year until he graduates in 2021. 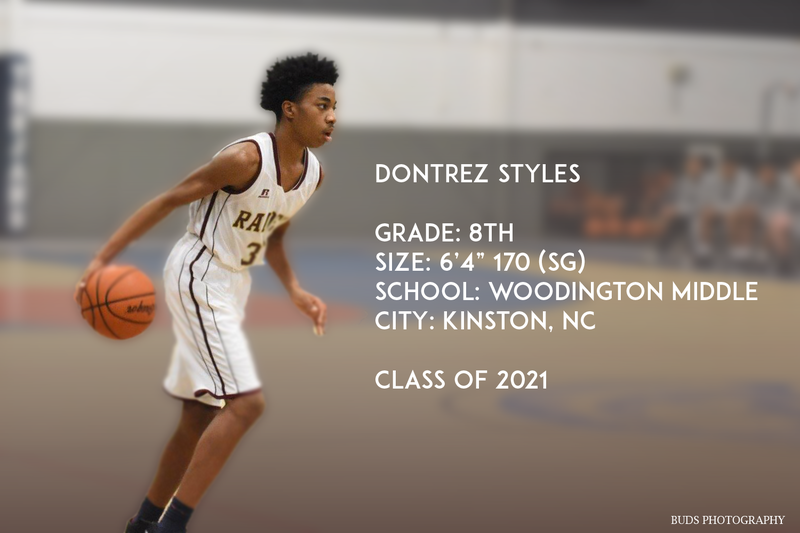 Dontrez Styles attends Woodington Middle School in Kinston, NC. He is currently standing at 6’4” inches tall, with plenty of room to continue growing. He has good size for the wing, good length, budding athleticism and plenty of skill to compliment his size on the wing. Potential is there to develop into a productive player early on once he makes it to high school. During the AAU season with Kinston Heat, he played up at several tourneys and showed the ability to create off the dribble, knock down shots, rebound the ball, get to the rim and used his length defensively to bother shooters. He did quite a bit of growing over the summer as well, so it will be interesting to see how his body has adjusted when the middle school season comes around. His main strength right now would be his shooting ability. However, it’s apparent he’s had good coaching, because he doesn’t fall in love with his jump-shot as most young players tend to do at his size. Styles makes it an issue to attack the basket, mixes it up off the dribble and he gets after it on the glass. Some key things to improve on would be his ability to read defenses aimed to frustrate him and of course continuing to improve his rapidly growing body frame over the next few years. Remember the name for future references. All of the tools are there for him to become a high level prospect over the next 5 years. If he continues to work hard, improve and produce, the sky is the limit. It’s going to be fun to watch how he progresses. This is the first of what will be 5 installments of the “A Way Too Early Intro” series. Stay tuned. All photo credits belong to Buds Photography. Rest assured, the Class of 2019 in NC has the potential to be an excellent class from top to bottom in terms of college level prospects. From point guards to post players, this class is loaded with potential high level players and there will undoubtedly be some sleepers as well. I’ve listed (in no particular order) a few players that caught my eye as freshmen competing for their respective high school teams and in AAU competition. Lock these names into the back of your minds. Note: This list is not compiled in any specific order. As a freshman competing on the junior varsity for KIPP Pride HS, Adams showed some serious game. He dominated the competition, averaging over 27 points per game and displaying strong court vision as well. Over the summer, Adams really begin developing his body and was developing his athleticism before an injury shut him down for the remainder of the AAU season. However, he’s expected to make a full recovery and should undoubtedly put college coaches on notice in the next few seasons. Morse is an extremely athletic sophomore guard. He’s a multi-sport athlete and it shows on the court with his toughness and will. In his freshman season competing on the varsity team, Morse had several 20 point 10 rebound games despite playing the guard position. He was one of a few freshmen that saw big minutes for his high school team and should only continue to improve each season. Intrigue is there. He displays fundamentals, soft shooting touch and an overall solid feel for the game. Definitely worth tracking. Imajae has all the makings of a big-time prospect despite being such a young sophomore. As a freshman he showed flashes of a young agile post that can play well above the rim and create off the dribble in spurts. He also displayed a surprisingly soft touch on his jump-shot. Defensively, he gets physical and has solid timing when it comes to blocking shots and rebounding. He possesses uncommon athleticism for a player with his combination of size and youth. Colleges have already taken notice of his talent in route to him earning several D1 offers over the summer. Should gain more as the season rolls along. Dericko is the definition of an elite run and jump athlete. Arguably one of the most athletic players in the state. Williams was able to show off his athleticism with Kinston High School in the ECI tourney held in Jacksonville, NC this summer. He was all over the court showing tons of energy on both ends. Crashes the glass, protects the rim and gets out in transition for electric slam dunk finishes. Despite being relatively raw, his athleticism alone should allow him to have an impact as a sophomore. Has shown to have a solid work ethic, so he could very well develop into a high level prospect. Pope John Paul HS in Greenville, NC has a hidden gem in Shyquan Jones. He was able to quietly average over 24 points per game despite being double and triple teamed consistently. Jones possesses great natural basketball instincts, a tightening handle, a great frame for a wing and wiry strength. Should college coaches begin making their way down to Greenville, NC to see for themselves, don’t be shocked to see Shyquan earn several Division 1 offers before his junior season. Should have another dominate season at Pope John Paul HS. After a highly successful stint on the junior varsity team as a freshman, McCaster was moved up to the varsity where he would then lead his James Kenan HS varsity team in scoring as a freshman. He showed a natural ability to create for himself and others and proved to be a clutch performer knocking down several last second shots as a frosh. In a prime position to help guide his team to the top of their conference this season, providing scoring, defense and an uncanny ability to make shots. Marcotis plays the game of basketball with a great confidence and displays a high IQ. In the mid-range area is where he’s most dangerous. Hall is able to elevate over most defenders and shows a quick release on his jumper coupled with some crafty moves from the triple-threat position. In the post, when guarded by taller and longer players, he uses a variety of pump fakes, spin moves and some solid footwork to create space for himself to get a good shot. Being that he is the 2nd leading returning scorer, he’s primed to have a jump in his production and could really make some noise this season with Kestrel Heights in a bigger role. Damian Dunn (along with Imajae Dodd) really made a name for himself this summer on the AAU circuit playing with Stackhouse Elite as well as with his Kinston HS team as a frosh. He already showed flashes of a versatile player capable of playing multiple positions and scoring at each spot during his freshman season. His game is rounding out, displaying an array of hesitation moves, good shooting form and patience. He doesn’t force the issue. Should he continue growing, getting stronger and scoring at every level, he could become a high level recruit in absolutely no time at all. Holds several Division 1 offers with growing interest. Donte is loaded with potential. A lefty, Donte showed many flashes as a freshman that he could in time become a long, athletic and savvy do it all wing. 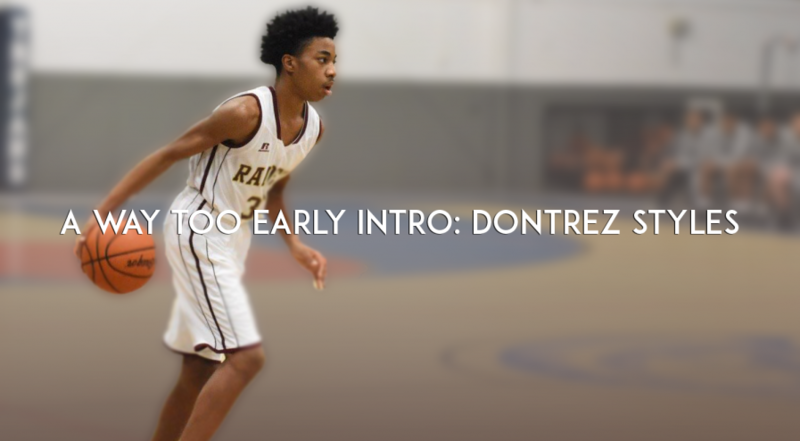 Naturally, Donte crashes the glass strong and runs the floor hard to get easy transition scores. In the half-court setting, he gets good post position, digging into his defender and showing a target. Once he has the ball in the post or on the perimeter, he’s adept at making quick moves to the basket once he receives the ball. Also has a very quick second leap on rebounding attempts. Should have a much larger role this season as a sophomore due to the graduation of six seniors. Marcus is an athletic natural-born scorer. Despite being undersized for the position, he’s extremely hard to stop due to his natural ability to find the right spots on and off the ball coupled with his ability to make all types of shots from all over the court. This kid flat out knows how to play and how to score. He’s one of the leading returning scorers for sophomores in the state after averaging 16.5 points and 6.5 rebounds as a freshman for his Southern Vance Raiders. Don’t be surprised to see his name among scoring leaders in NC this season and in years to follow. 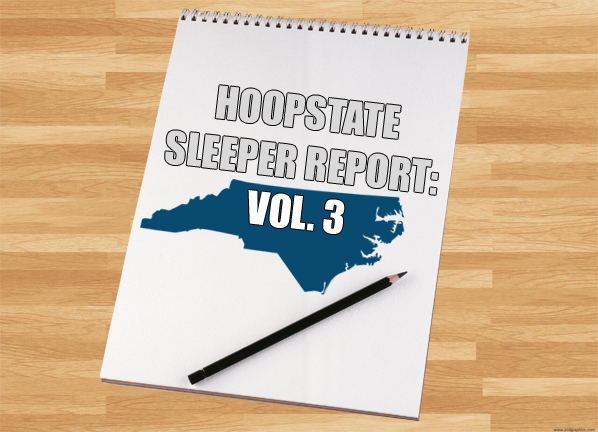 Over the course of the past few months, I had the opportunity to keep tabs on a few rising juniors on the eastern side of NC. Several of these players showed much improvement over the course of this year and have undoubtedly worked their way into bigger roles for the up and coming season. I also received tips on a few of these players and they have proven to be diamonds in the rough. Each player listed below has the skill, worth ethic and potential to become a productive student-athlete at the college level. Special thanks to Rod Bridgers and Tre Cordon for making sure I was aware of several of these outstanding kids. Not many players improved over the summer as much as Bonds. He has shown a much improved jump-shot, handle, passing ability, defensive mechanics and physique. Colleges will without a doubt be keeping tabs on him this season. Could break out as the leader of what has the makings of a very strong team this season. Standing at 6’4”, he possesses good height, athleticism, length, a high basketball IQ and tons of confidence at the shooting guard position. Still relatively unknown, he should undoubtedly attract some serious college attention this up and coming season and lead his Riverside HS deep into the playoffs. Rakilen is a quick, shifty point guard capable that can shoot the ball extremely well. He had multiple games in his sophomore season knocking down at least 5 triples. Butler also has sneaky leaping ability enabling him to get past long defenders and grab long rebounds out of position. In the up-coming season, expect to see an increase in his productivity all around the board. If he continues to shoot the ball extremely well, distribute the ball and get stronger, Butler should become a well-known name to many colleges at every level on the east coast. Wooten is arguably one of the best pure shooters in all of NC. Has an effortless jump-shot from mid-range and from the three point line. Is comfortable shooting off the dribble and off the catch. Shows a surprisingly slick handle that enables him to consistently get into the paint where his innate ability to finish around the rim wreaks havoc on defenses. Will not be shocked to see a 20+ per game season with solid all around statistics to follow. Has also shown a revamped body while providing glimpses of rapidly improving athleticism. Will be fun to track as the season goes on. One of the best floor generals in the NC 2018 class. Freddie has one of the best pure handles in the state. Very shifty and crafty ball-handler that commands a team offense and makes defenders think twice about trying to get physical with him. Underrated jump-shooter. Knocks shots down from the perimeter off the dribble and coming off screens. Defensively, gets a ton of steals with his pressure defense. Can really frustrate ball-handlers and make them second guess themselves. Colleges that are more concerned about skill and production rather than size will love Freddie. Jareem has loads of potential. As a sophomore he had his ups and downs, but showed many flashes of potential to become a solid wing/post player. He gets out in transition and finishes well above the rim. When he operates on the wing he is capable of beating his man with two or three dribbles using either hand and can finish with either hand as well. Entering into his junior season, if Jareem shows more of a willingness to attack the basket and utilizes his size more, he could present a unique matchup problem for his opposition night in and night out. Barnes is a post player that coaches would be wise to keep tabs on. Standing close to 6’8” he hustles, does the dirty work, runs the floor well and can knock down three-pointers at a solid clip. Defensively he’s much of the same, staying active and using his length to disrupt shots. He has all of the tools to be a dynamic all-around player. He’s still young as well, so I wouldn’t be surprised to see him grow a few more inches. It may be just a matter of time before colleges start sneaking their way to his games this season to see what he’s all about. Hill is a great example of a confident and savvy player. Despite his size, he was able to lead his Jones Senior team to a 19-9 record as a sophomore and looks to continue building on that success in the up and coming season. Janari is an extremely quick and crafty lead guard that loves to attack and finish in the paint. He has a streaky outside shot, but keeps defenses honest. Uses fakes well to get defenders in the air and dishes the ball to open shooters. Expect to see this name amongst the top scoring leaders this upcoming season in NC. With the graduation of three key seniors, he will definitely be counted on to take on a bigger scoring load and become more of a ball-handler. This kid flat out knows how to score the ball, rebounds exceptionally well for a guard and makes shots from all over. Has a very creative ability to finish as well as very solid leaping ability. East coast colleges should take personal notes and begin their evaluations on him as soon as possible before others take notice. Shaw is an interesting point guard prospect. As a sophomore, he played his role very well as a secondary ball handler and as a scorer. He had several strong double digit scoring games for what was a very deep Northeastern High School team that was a game away from a state title birth. Fast forwarding to now, Shaw was able to put up some impressive scoring and shooting numbers in a few summer games while knocking down a high percentage of shots from downtown. Already a proven ball-handler and distributor, should he continue to knock down shots at such a high rate the sky is the limit for this kid and Northeastern HS. Romeo is a long and crafty wing with loads of potential. While he didn’t put up staggering numbers in the 2015-2016 season, his skill level still was able to shine through, despite splitting minutes with several key upperclassmen that have now graduated. He shows a nice feel for the game and a soft touch from three-point range. His mid-range fade-away jumper looks very comfortable and he’s shown a nice mix of crossover moves. It will be interesting to see if he will put all the pieces of his game together and produce a strong junior season. Taji has shown to be a leader. As a sophomore, he struggled to find consistency while splitting minutes for a Kinston HS team that featured 10 seniors. However, he still had multiple games where he caught fire and went on scoring tears knocking down multiple 3’s and getting out in transition. Over the course of this summer, he showed improvement while providing great leadership. Showed good patience while running his team. He communicates very well offensively and defensively, scores the ball and knocks down shots at a high rate. Could be a breakout season coming up. White is a crafty and natural born scorer. He uses floaters, step-back dribbles, fade-away jumpers, hesitations and a nice mix of spin moves to create space for his own shot and others. Must note, he has a deadly right to left crossover dribble and also moves very well off the ball. Defensively he has quick hands and good anticipation. Unquestionably should lead his high school team in several categories this up and coming season. Very deep shooting range and must be guarded well past the high school 3 point line. Will drain multiple deep jumpers in a row and takes deep shots without hesitation. Robidoux is a young and long prospect with great upside. Has a good motor, plenty of athleticism and a good skill level for his size. He still will need more time before he begins putting together good games consistently, but he is in a basketball program at South Central HS that typically brings out the best in their young players. Robidoux appears to be very attentive and coachable as well. Keep track of this kid as time goes along. Liam is the younger brother of DIII power Susquehanna University signee, Evin Caswell. Liam is a long and intriguing point guard prospect from Ocracoke Island. Despite coming from a school that had a total of just over 50+ students, he was able to help lead his high school team to their most wins in a season the past 5 years. Liam is a heady ball-handler that does a solid job protecting the ball, getting in the paint and controlling tempo. As a sophomore, he averaged 13 points, 6 rebounds and 4 assists in a secondary role. Since March, he’s hit a growth spurt rising to around 6’3” and retaining the skills he had as a 5’10” sophomore. Liam could possibly reach triple double territory a few times this year. Place him in your players to watch list. Watford is an undersized but efficient post/wing that has quietly been racking up double-doubles two years in a row now at Gates County HS. He’s very strong and uses his body well in the paint to carve out space. Rarely surrenders his position on the block. Dunks the ball with relative ease despite his girth. Bulls his way to the basket in transition while being under control. Should his handle and jump-shot continue to improve, he could become a huge matchup problem, proving to be too quick for bigger defenders and too strong for the typical guard to contain. Long, wiry and bouncy. Lacey is an intriguing wing prospect that could develop into a very strong two way player. He uses his length to disrupt passing lanes and gets out on the fast-break, filling the lanes and throwing down some vicious dunks. Most of his success early on has come from being extremely active on both ends. As a sophomore at Beddingfield he showed several glimpses of a wing capable of affecting the game in a ton of ways even without scoring or having plays ran for him. Has all the intangibles you want from a wing player. Could be primed to breakout at any time next season. This past weekend, Charles Clark of Basketball Elite put on the NC Eastern Regional FAB 40 camp at Fayetteville Academy in Fayetteville, NC. This was a great opportunity for kids at every level to get an opportunity to compete in front of college coaches, media outlets and against one another. Numerous college coaches were in attendance to observe these unsigned prospects as well as several media outlets such as Netcast Sports, BallIsLife, Next Level Assessments, Born2Win Academy and more. 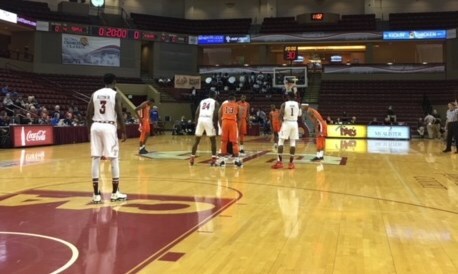 Players from every classification (1A, 2A, 3A, 4A) were in attendance on an invite only basis and competed on both ends until the final buzzer of each game. Several seniors came into this camp with something to prove and left a lasting impression on me and several college coaches in attendance. I have listed a few of them below and what I learned about them over the course of the camp. Marlik Brooks came into the FAB 40 Camp as a relatively unknown, due to playing at small 1A Plymouth HS. However, he left a lasting impression. Brooks showed a really nice touch on his jump-shot, knocking down a plethora of 3 pointers and mid-range jumpers. Also showed a solid first step and leaping ability. Shows very good timing on blocking shots and uses his length well to grab rebounds in and out of position. Has very long arms and good instincts. Very raw overall, but possesses a ton of potential. Two seasons at a solid juco or a post-grad year will give a better understanding long term what he’ll be able to do at a higher level. I expect to hear his name more in the future. Looks can be very deceiving. 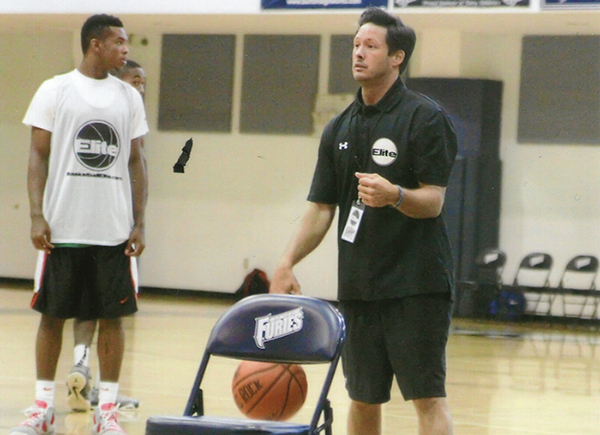 Evin arrived into the FAB 40 camp as easily the least known prospect in the gym, hailing from Ocracoke Island. My first time watching him I was left in shock as he exploded for 32 points, 18 rebounds and 5 assists versus a tough Plymouth HS team. He was later named Coastal 10 1A player of the year, averaging 18 points, 10 rebounds and 3 assists for his Ocracoke HS team. Fast forward to FAB 40, Evin proved his game is no fluke, showing off a solid floater, playing tough defense, rebounding and throwing down monster dunks in every game. He also was consistent in grabbing boards and getting out in transition, finishing strong at the rim against bigger athletes. Already a strong student in the classroom, D2, D3 and NAIA schools will be all over him after his showing this past weekend. China Jones was one of the biggest surprises at this event. China didn’t register a single made 3 pointer this season as his Voyager HS went on to win the 1A State Championship. This past weekend he showed incredible accuracy from 3-point range in every game to go along with his high level athleticism and motor. Standing at 6’6”, he’s an explosive athlete and showing the ability to knock down shots from the perimeter the way he did is a great sign for schools that may have been concerned with his position. He is very capable of playing and knocking down shots on the wing and he is very active defensively, registering a ton of deflections and weak-side blocks. Dominic Williams came into the camp with a lot to prove. Due to his size a lot of people questioned his ability to produce and run a team while dealing with bigger and stronger guards, but all year he proved more than capable. He didn’t back down from anyone at FAB 40 and more than held his own on both ends of the floor. Showed a high IQ and a great ability to execute in pick and roll and sound decision making on fastbreaks. Was also able to show an improved jump-shot, knocking down 3’s and pull-up jumpers all over. Defensively, he met opposing ball-handlers early in possessions and pestered players into bad long passes. Should have several JC options to choose from over the next couple of weeks. Clemonts is a very interesting point guard prospect. He led the state of North Carolina in assists per game for the 2nd season in a row, averaging 10 assists per game for Weldon HS to go along with 17 points per game. Also interesting to note, he is one of the few point guards from NC to be able to say he registered a quadruple-double in a game (points, rebounds, assists, steals). At FAB 40, Clemonts showed an adept ability to penetrate defenses off the dribble and seemingly always knows where his teammates will be, dropping off beautiful passes for easy scores consistently. Also showed a strong ability to finish with his off hand at the rim and exhibited a very good array of hesitation moves that kept defenders guessing all day. A year young for his graduating class, I’m interested to see how his recruitment goes. Has a very unique game and could be a diamond in the rough at the next level. Mel’Quan showed off impressive abilities for a prospect his size. Standing at 6’5”, he handled the ball well, created shots off the dribble and finished plays above the rim. His wingspan may have been the longest at the event. Has solid lateral movement that should enable him to become a menace defensively at the next level combined with his length. Stayed active on both ends throughout the camp. Has the potential to develop into a versatile all-around wing at the next level with his combination of high level athleticism, length and skill. Reportedly has already picked up interest from several colleges all over. This kid lit it up. Was knocking down shots at an impressive clip from all over the floor off the dribble and off the catch the entire camp. Showed a ton of toughness. Didn’t back down from anyone and showed a surprising ability to rebound the ball from the SG spot. Showed a great motor. Never stopped moving on either end on every possession. He has really good size at the shooting guard position and possesses a solid frame well equipped to put on some more muscle. A great student with over a 4.0 GPA, LM and D2’s should be making their pitches right now for his services over these next 4 years. McClain came into FAB 40 with an impressive resume. Once had a stretch during his high school career where he scored 60, 59 and 57 in consecutive games for his Wayne Christian School. At FAB 40, once he got into attack mode, defenders struggled to keep him out of the paint. He gets into the paint at will using his quickness and array of hesitation dribbles, resulting in tough finishes and pull-up jumpers. Very explosive with plenty of potential to improve on his point guard skills. A very hard worker, any LM D1 or D2 school that gets a commitment from him will get a player that will give them their all. Colon was arguably one of the best players at FAB 40. He set the camp record for assists in a game with 13 helpers while showing off a very tight handle and a consistent 3 point-shot. He is very hard to contain off the dribble due to his quick yet accurate pull-up jumper, tight handle and his great passing ability. With some added strength and some adjustments to the physicality, I would not be surprised to see him have a big impact in the next few seasons at the Division 1 level. I can’t say it enough, but he possesses a strong knockdown shooting ability, a tight handle and has a confidence about him that should help his transition to the next level be smoother than most. There is so much to like about Joshua Mullins. Showed versatility at FAB 40, playing some point guard and sliding over comfortably at the SG spot as well. Really got after it defensively and moved his feet well against quick guards and forced opponents into tough contested shots. Rarely was beat off the dribble. Offensively, he showed why he was a 23 point per game scorer for his Nash Central HS team, showing off a smooth isolation dribble game, deadeye marksmanship from 3 point range and the ability to drive and finish above the rim. Has some college interest, but could work his way into a few offers on the AAU circuit. Dyer is a very compact, left-handed lead guard that has a strong handle. At FAB 40 he was able to consistently get in the paint and finish at the rim as well as driving and kicking out to shooters. Defensively, he gets low and communicated well against screen action plays and showed an overall solid ability to lead on both ends of the floor. Despite pressure and facing several guards with length and high level athleticism, he was never sped up and got to his spots. Very capable point guard that could run an offense at a D2/D3 or NAIA school. Scout Charles Clark provides us with the first set of scout’s notes from the camp. 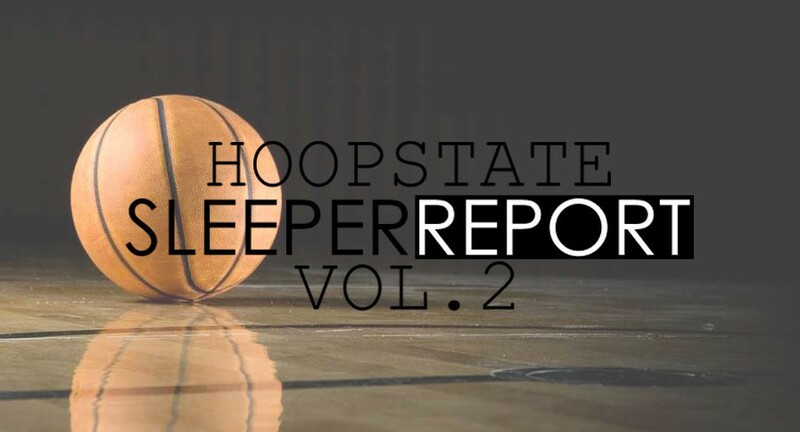 We will be posting more over the next few days, and you should also check out the coverage on Phenom Hoop Report. There was a lot of talent that stepped onto the Campus of Forsyth Country Day School on Sunday, June 15th, these are some of the players that really stood out to me. Brandon Childress (Wesleyan Christian, Karolina Diamonds, Point Guard, 6’0, 2016) – Simply put, Brandon had one of the best showings out of any player at the showcase, he showed his beautiful shooting stroke throughout the entire camp. Although he provided the majority of the scoring for his team he also did a very good job of getting the ball to his post players in the right spots. What really impressed me about Brandon besides his outstanding scoring was how good of an IQ he has when using the Pick and roll. He knew when to pass, when to shoot and made the passes right on target for easy buckets. This was not my first time seeing him play but his performances On Sunday impressed me more than any other time I have seen him play. Devin Cooper (Ardrey Kell H.S, Team Charlotte, PG/SG, 6’0, 2015) – As soon as the station drills started I went over and watched the Point Guard station where players had to: Run through an agility drill and then come off a screen and knock down a shot off the dribble. Out of all the players at the station Devin was one of the only players who went through the drill with ease. Two attributes really impressed me about Devin, first was his outstanding body control that he has when attacking the basket, it didn’t matter if he was fouled, undercut or anything else, he still finished plays. His ball handling skills were some of the best of any player at the showcase, and to top it off he has quickness mixed with a lot of moves in his arsenal that makes him a very tough player to guard. He Shot the ball with consistency, has nice form and lift on his shot, and knows how to always get squared up before he shoots. Lastly I must point out that he showed a lot of leadership for his squad, I loved how he decided to switch with one of his teammates on defense so that he could guard Brandon Childress. Robert Colon (Northside H.S, Dream Team, Point Guard, 5’11, 2016)- Robert was a player at the showcase that I really feel helped his stock, he did not get much playing time for his high school this past season because of numerous Seniors that played the Guard positions. With that being said I can guarantee that he will definitely play a solid role for his squad next year as he showed many attributes that coaches’ at the high school and college level love. 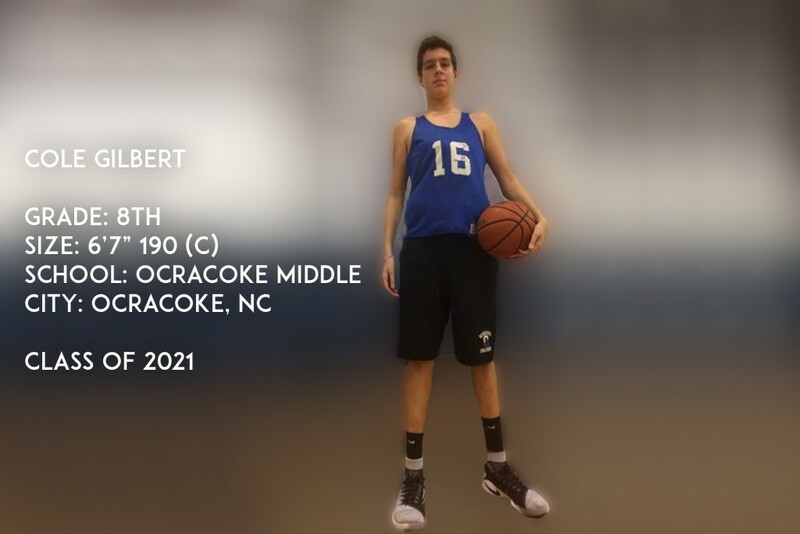 Robert showed very good ball handling skills but did not over dribble; he also displayed outstanding court vision, dropping beautiful passes to teammates. Robert is a very good shooter and knows how to score, he knocked down numerous perimeter shots and finished well in transition, also has a decent frame for a PG his age that he uses to embrace contact. Josh Handy (North Rowan H.S, RoCo Elite, Shooting Guard/Small Forward, 6’4, 2016)- Josh had a very productive day scoring and rebounding , he is a player that has very good length and knows to use his wingspan to help him score. In both games I watched him play he was dominant when attacking the basket, and provided the majority of scoring for his team. From the start of these games he showed a very high motor and enthusiasm, it’s almost as if he simply loves to play the game while at the same time he wants to play hard every single possession. On defense Josh was solid, although his lateral quickness could use a little improvement; he was very solid guarding smaller players in the open court. This young man has potential to be a very good prospect and is also a player that helped his stock due to his performance at the showcase. Ian Boyd (Apex H.S, CP3, Shooting Guard, 6’3, 2016) – Ian also had a productive day at the showcase; he displayed some smooth ball handling as well as a very nice shooting stroke. Ian did not have any issue getting his shot off and knocking it down with consistency but one attribute that really stood out to me about Ian was how unselfish of a player he is. He made sure that all his teammates got numerous touches in very good scoring positions even if he was having a hot shooting game. Last but not least I was impressed with the “old school toughness” that Ian has , he doesn’t mind contact and played through a lot of physical contact. Jamaruis Hairston (Carson H.S, Carolina Phenoms, Small Forward, 6’2, 2018) – One of the younger players that attended the event, Jamaruis turned a lot of heads with how much energy he played with. Although he will still need to improve his perimeter shooting he knocked down shots from the elbow range and was very good finishing at the basket. Also brought very good defensive intensity, and was very active on the defensive glass for his team. Daquan Lilly (Knightdale H.S, Forward, 6’6, 2015) – Daquan is an athletic player; for a player his height he is very comfortable handling the ball in the open court. He caught the ball and Finished inside the paint well, throughout the day that I watched him I didn’t see him drop too many passes. Seems to be a very good teammate and was awarded the Coaches Award for the showcase. Malcolm Herron, (Jesse C Caron H.S, Team Fly, 2017, Point Guard 5’6) – Malcolm was another young player that showed some flashes of how good he can possibly be. Malcolm has very good ball handling skills and has nice quickness that he uses to try and keep his defender off balance. Throughout the day he handled the defensive pressure from older players very well and showed that he is a good passer, this young man knows how to get the ball up the floor in a hurry. Xavier Smith, (Oak Hill Academy, 2015, Guard, 6’3) – Xavier is a nice Shooting Guard prospect, knocked down shots all day especially from midrange. He is a talented finisher that knows how to make whatever move that is necessary to finish after he leaves the ground. Xavier is the type of player that Point Guards love to play with because once you give him a lead pass to the basket he will find a way to score it. Malik Constantine, (Olympic H.S, Team Charlotte, 2015, Forward, 6’4) – Malik was a rebounding machine throughout the event, when watching him play it seemed as if he has the attitude that every shot that is missed belongs to him. He also showed some athleticism with put back dunks and blocking/contesting shots in the paint on the defensive end of the court. Malik was also a very good teammate and took the attitude of doing whatever it takes to help his team get the win. Charles Norman (Prominence Academy, Guard, 6’2)- Charles is a very athletic player and he displayed that throughout the showcase , what sets him apart from many other athletic players is that he uses his athleticism correctly in the flow of the game. On the offensive side he attacks the rim and uses his leaping ability to get his jump shot off over taller opponents. On the defensive side he showed quickness by coming up with numerous and deflections, but my favorite play of the day that he had was a chance down block that he came up with in one of the final games of the day. Charles Clark scouts for multiple outlets including Basketball Elite and Phenom Hoop Report. For more scouting notes, follow Charles on Twitter, right now! Thanks to Elite Mixtapes for coming out and putting together this mix. Follow them on Twitter! It goes against our nature as humans to try and be objective about our flaws. So each year when we get through our Southeast Summer Showcase, I really try to step back and assess what we did right, what we did wrong, and how we can make it better. This year’s event is coming up on June 15. Quite frankly, it ain’t easy. We work hard on our showcase. As in, hours, days, even nights. Talking. Meeting. Writing out schedules. Brainstorming. Moving players around on teams. Changing up the drills. Meeting with the coaches ahead of time. Going over details. Going over them again. Gabe Devoe looks on during drills. Sometimes, it means staying up until the wee hours packing up little things for the player packets or printing out the rosters ONE LAST TIME because we noticed some of the numbers were wrong on the last batch we printed. Loading up all the equipment to head to the gym at 6 am, and going to bed at 2 am hoping 4 hours of sleep will be enough to fuel the day. So when it’s all over, and we pack up the boxes, wipe up the Gatorade from the hallways and make sure no players have fallen asleep in the bathroom before we turn out the lights, we pretty much collapse into exhaustion and hope that at least one player, at least one, got a good look from a college that will eventually lead to a scholarship. Last year, we had 8 seniors who eventually went to Division I schools. We had even more who eventually went Division II. Our dunk champion, Carlee Clemons, landed at #2 on the ESPN top 10 the next day (we would have been #1 if not for the fact we were going against the NBA playoffs) and he eventually went on to compete in the national high school dunk contest on CBS. Really cool, especially when our previous dunk champion, VMI player Craig Hinton, also went to the nationals the year before. Our All-Star game from 2013 boasted some awesome talent: Gabe Devoe, who committed to Clemson; Javis Howard, who landed at the Charleston Southern; Gary Clark, who decided on Cincinnati; Colton Bishop (Loyola Maryland) and several more. Just too many to name. MaxPreps wrote that our event was one of the biggest in the country, and was the biggest on the East Coast for the weekend, with the West Coast going to Pangos All-American camp. Not too shabby. Charis Fitzgerald, 2012 Camp MVP So it’s not easy to step back and look at what we could do better. When you put in so much effort to eke out a few victories, looking for things you can improve feels like you’re focusing on what you did wrong, instead of what you did right. But in order to improve, that’s exactly what we have to do. Like I said, it ain’t easy. BUT…if it was easy to put on a world class event, everyone would do it. With all of the things I think we do RIGHT, and have done right, at our events in the past, there are things that haven’t been done as well as I would have liked. We had issues with our jersey numbers the first year and our DVD reproduction last year. These are things that happen, you fix them and move on. You work out some kinks. You put in backup plans. You eliminate things that didn’t get executed well. BUT…there is one thing that we’ve had at our first three events that actually went off really well…and yet, I wasn’t happy with it. It’s a staple at many individual showcase events, and they all have the same problems. I have NO issue with All-Star games in general. They’re terrific. But at an individual showcase? It just doesn’t work. See, the first problem is that you are picking players based on a single day’s play. And you also have players who already come in with a reputation. If a player comes into your event, and he’s already holding multiple Division I offers, you will look like an awful scout if he doesn’t make your all-star roster. But then there are players who show up, play really well, and not enough coaches vote for them to make the All-Star. Last year, as I was handed the final votes for the All-Star game, I cringed. I could see that every single player who made the game deserved to be there. And I could also see at least 6 players who didn’t make who also had an argument to be in that game. And I hated it. I hated the fact that we were basically telling those 6 or so players that they weren’t making the cut, even though I knew they were good enough. Bear in mind, this goes against what would be the industry norm for a scout or basketball analyst to do. Very few will ever admit they are wrong even when they are wrong all of the time, and they will laugh about people who admit mistakes. But it takes no courage to do that. I can’t tell players to “do the right thing, not the easy thing” and then turn around and do the opposite. If I see something that we need to change, I have to try and change it. I knew that what we doing wasn’t good enough, and I decided that this year, 2014, I would come up with a better way. I don’t care if other showcases still run an All-Star game, it’s not how I think it should be done. And I’m doing something different. This year, we’re doing this: your team wins, you play in the title game. No All-Star game. A title game. So if your team goes 2-0, we go by point differential and the best teams play. If there is a tie, we have a quick playoff to decide the title game. So the TEAMS that play the best get to play for the title. We’ve had teams go undefeated every year and I expect this year will be no different. If a team plays well enough to go undefeated then that TEAM should get a chance at the title, don’t you think? That’s what competition is all about. And this year, we’re broadcasting the title game on NetCast Sports Network. So if your team plays well all day, you won’t have to pack up early. 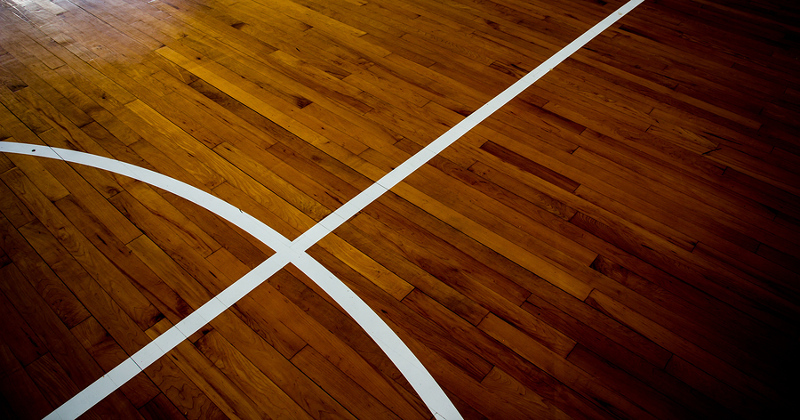 You’ll play in the final game, on the full court, on the live broadcast, and on replay. Want to get your shot? Sign up for the event at Events.BasketballElite.com. You can follow Marcus Shockley on Twitter, even though he doesn’t always tweet about his flaws. Several basketball legends are coming to the aid of friend and teammate Luther “Ticky” Burden, a former ABA, NBA player and collegiate basketball star who set the FIBA World Championship scoring title in 1974, as well as helping the US win gold at the 1975 Pan American Games. Burden, who currently resides in Winston-Salem, NC, is suffering from a life-threatening form of infiltrative heart disease known as ATTR amyloid, which will require relocation to Columbia University in New York for evaluation of potential heart and liver transplants. The treatment is expected to cost in excess of $500,000. Burden does not have health insurance. Burden played for the University of Utah collegiately then spent time in the ABA with the Virginia Squires and in the NBA with the New York Knicks. Burden’s FIBA record remained intact until Kevin Durant broke it in 2010. 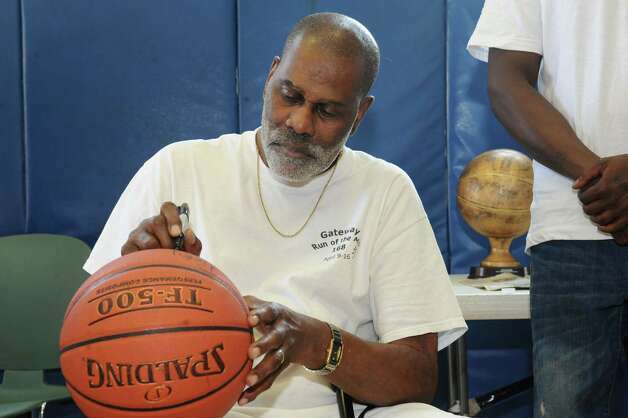 Former legends of collegiate and pro basketball, including All-Americans Skip Brown of Wake Forest and Phil Ford of North Carolina are coming together to help raise funds for Burden at a charity dinner on October 11, 2013. The dinner will feature legendary NBA players including ACC alumni such as Chucky Brown of NC State, former NBA player and Wake Forest star Charlie Davis, Winston-Salem State head coach Bobby Collins and several more. There will be several available auction items for sports memorabilia provided by the New York Knicks, including an exclusive autographed J.R. Smith jersey. Attendees will have the opportunity to hear firsthand accounts of some of the memorable moments in basketball history, as well attend a meet-and-greet prior to the dinner. 100% of the proceeds for this event will go directly to helping Luther Burden battle his life-threatening illness.